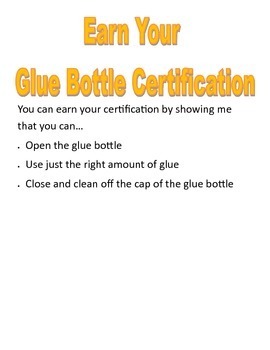 This is my way of having my students earn the privilege of using a glue bottle in the classroom. 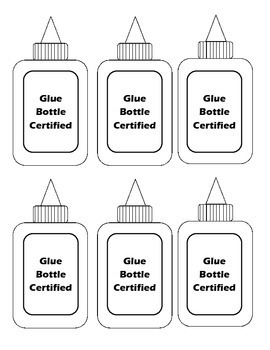 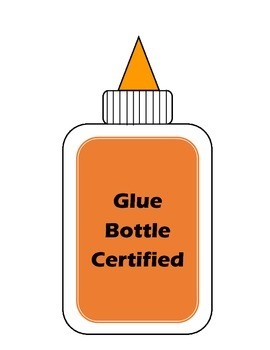 We will practice using the glue bottle on certain projects then they will be able to show me that they can use the glue bottle properly. 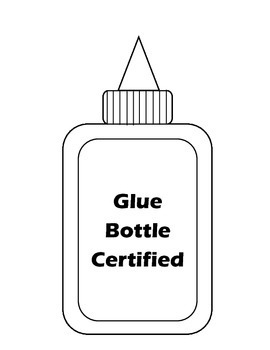 When they have shown me I will put the certification onto their desk name plate.